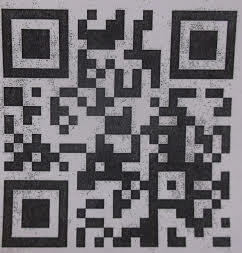 Once you scan the QR code, please click on “Browse.” Enjoy! 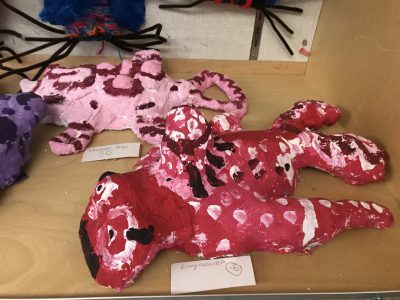 This year Neshannock High School won first, second and third place prizes at the Lawrence County Students Art Show sponsored by the Hoyt Center for the Arts in New Castle, PA. 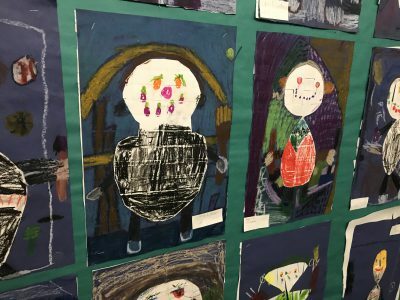 In September students in the Advanced Painting and Drawing Class were instructed to select a famous artist to research and study. 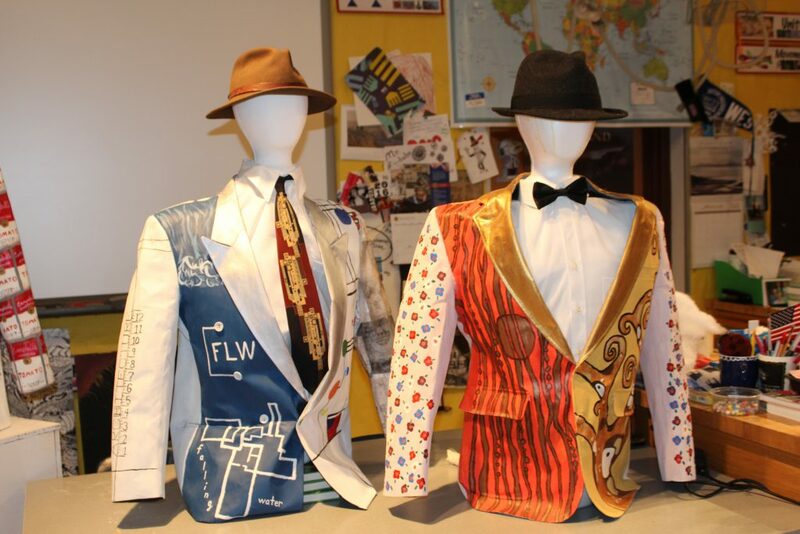 Students then used glue to paint sport coats from a thrift shop. 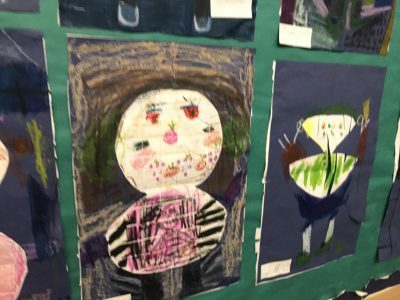 The hardened fabric became a palette on which the student artists created replications of the famous artist work. 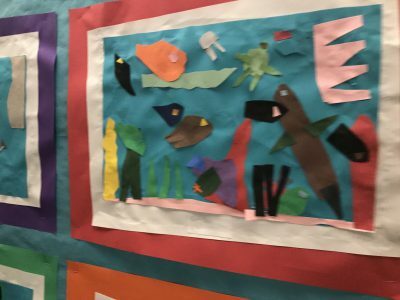 The requirements instructed that each coat contain three works of art by a famous artist, and also that it include two attribution works. 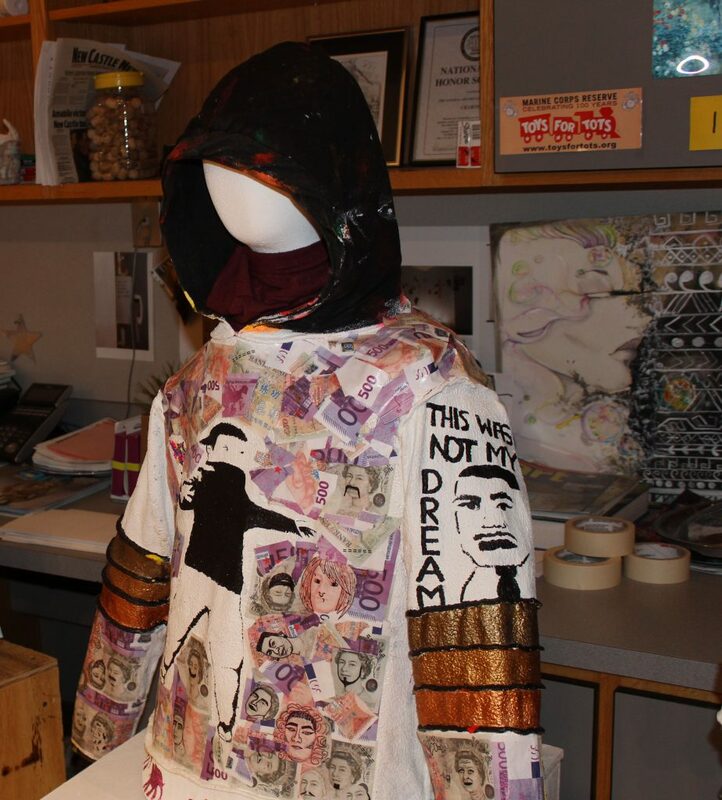 The students painted two original works on the coat in reaction to their artist style or content. 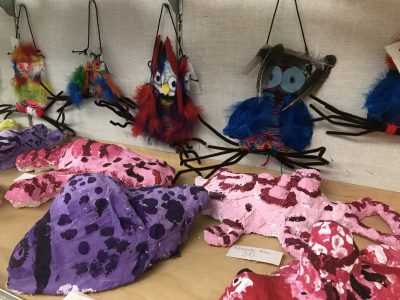 Wig stands, shirts from a thrift shop, and hats completed the sculptures. 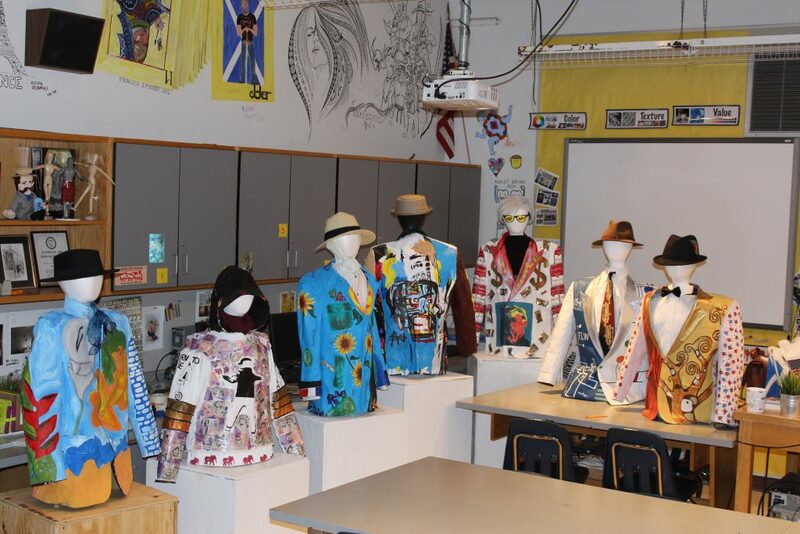 The coats were completed in March just before the Student Art Show deadline. 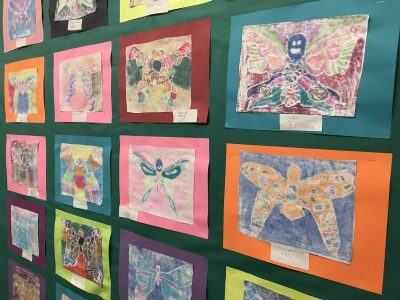 The artist coats are on display at The Confluence Art Gallery on East Washington Street in New Castle until May 10th 2018. 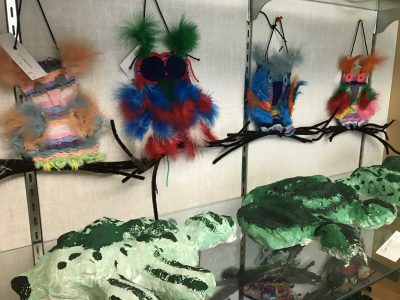 The New Castle News featured the work of our student artists in their April 28th publication: Coats of Many Colors. 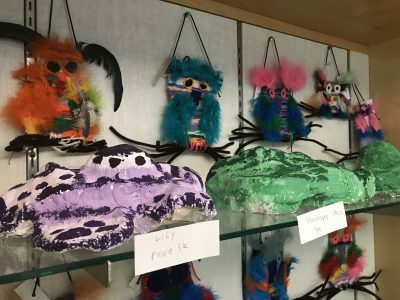 Elementary students in Mrs. Zaenger’s Art Class have been hard at work all year. 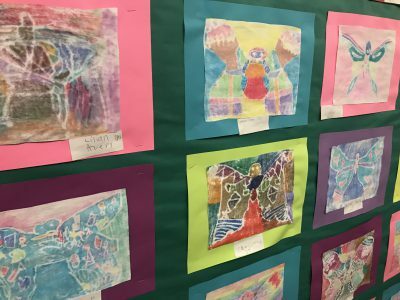 The photos below display some of the artwork created by students in first, second, and fifth grade. 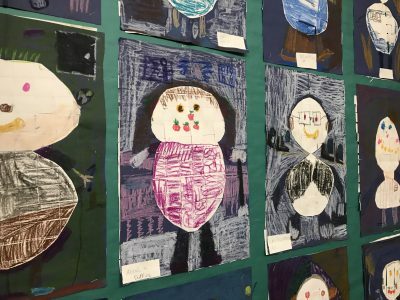 The snowman weavings were created by first grade students. 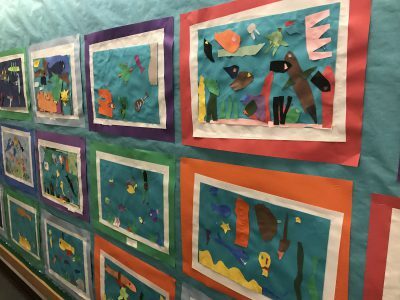 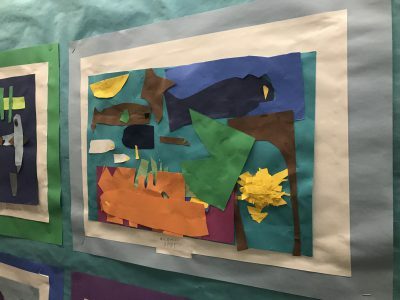 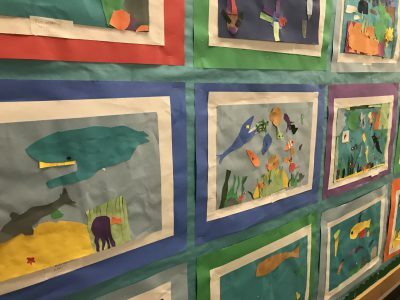 The sea creature paper cutouts — created in the style of Henri Matisse — were completed by second graders. 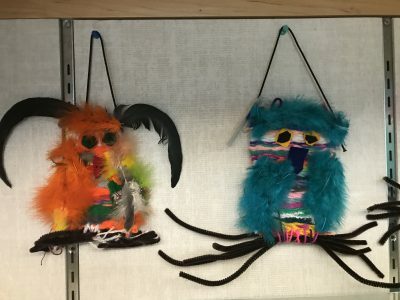 The owl weavings were created by fifth graders.